Lots of rock stars have paid tribute to “The King” Elvis Presley. The Clash paid tribute to Elvis on the London Calling album cover. Liam Gallagher has an Elvis Presley TCB tattoo. Bruce Springsteen wore an Elvis Fan Club Button on the “Born To Run” album cover. John Lennon, Robert Plant and Keith Moon have been photographed wearing Elvis propaganda. 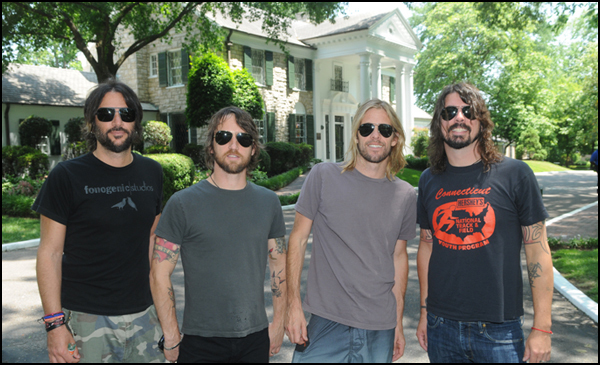 So it’s not too surprising to see members of the Foo Fighters Dave Grohl, Taylor Hawkins and Chris Shiflett checking out Graceland in Memphis, Tennessee on May 20, 2011. 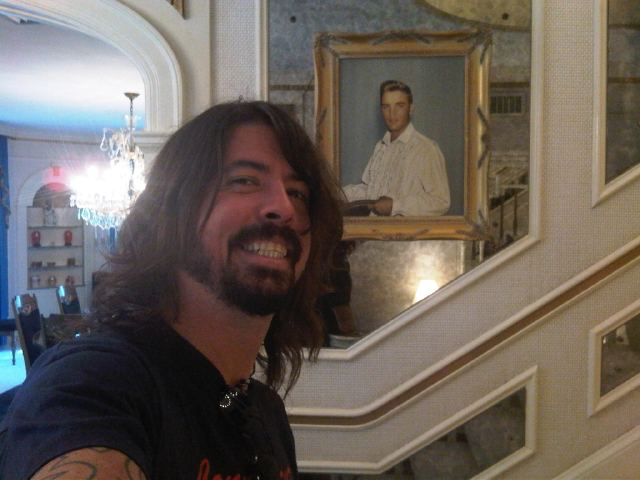 Grohl even posted a photo right next to the staircase going up to Presley’s bedroom.